The North Platte Legion Baseball program has announced their 2019 rosters and schedule for the year for both the Junior and Senior squads, beginning the season in mid-May. The Juniors are scheduled to open play May 17th at the Alliance Tournament, while the Seniors begin even sooner, May 11th with a doubleheader in Scottsbluff against Scottsbluff and Gillette, Wyoming. 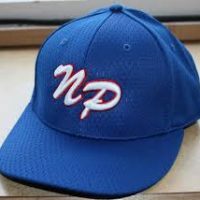 North Platte opens the season with a new set of coaches as former Nats Ty Brockmoller (Seniors) and Jace Barker (Juniors) take over the reigns. Brockmoller was an assistant for the Senior’s team last year and played in the program from 2011-14. Barker played with the First Nationals from 2013-16. The full schedule is available below along with rosters for both teams. Huskeradio’s KODY is once again your home for Legion Baseball on the radio, with coverage beginning May 25th in Columbus for a doubleheader. The full broadcast schedule will be released as the season nears.